With the help of the cadet forces and a wealth of other organisations and individuals, the Woodland Trust has reached its target of a staggering 6 million new trees planted to create Diamond and Jubilee Woods in commemoration of HM The Queen's Diamond Jubilee. In one of the final few plantings, on a cold and wet February morning, cadets from Anglesey and North Wales detachments of Clwyd and Gwynedd ACF, led by their Company Commander, Major John Baxendale, turned out to plant well over 1,000 trees on a rugged hillside in the north of Anglesey. The planting site was a good distance from the nearest road and the tough approach march had the feel of the start of an adventure training exercise. 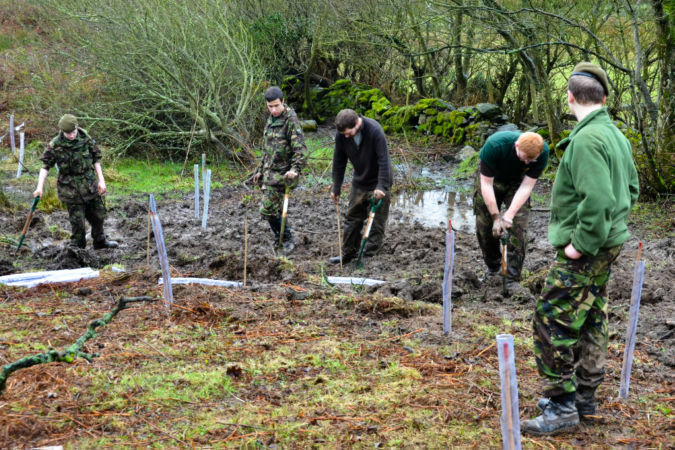 Once on site, however, the cadets worked with enthusiasm, good humour and diligence in demanding and wet conditions and brought much credit to their county and the Army Cadet Force. 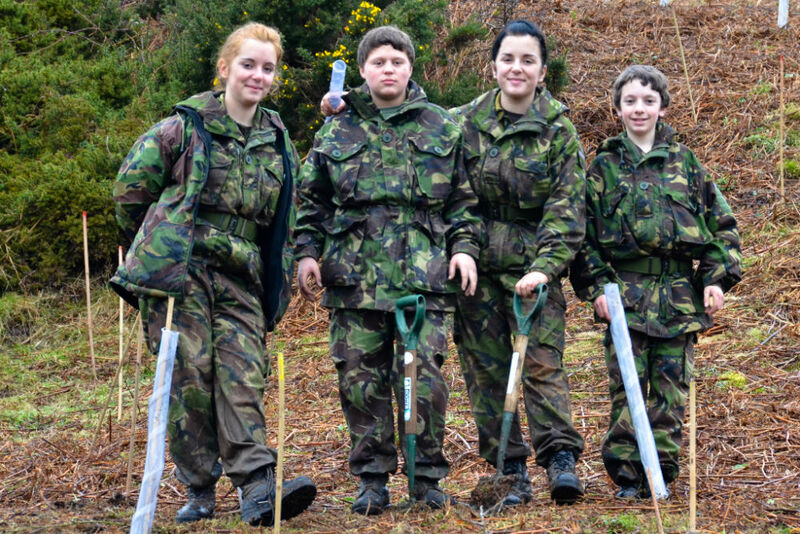 The cadets enjoyed carrying out the task and expressed satisfaction in both marking the Queen’s Jubilee in this long lasting way and also enhancing the environment. 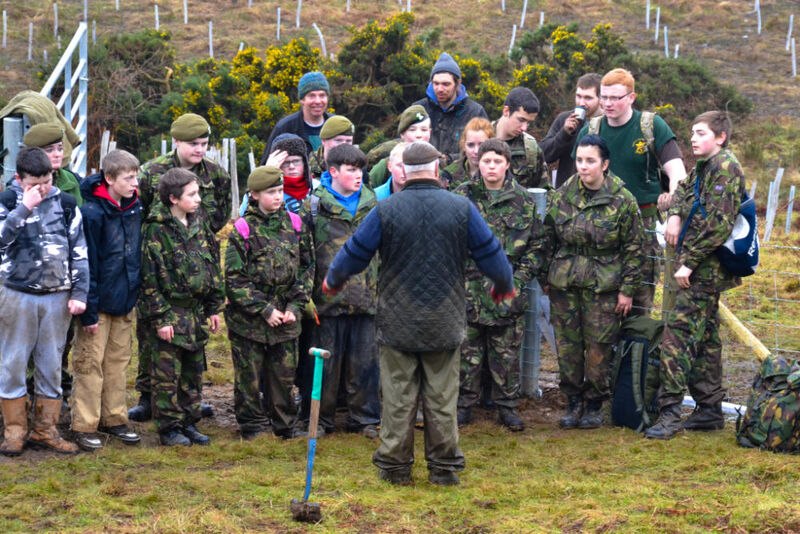 Commodore David Alexander RN (ret'd), the landowner, commenting on the day, said: "I was highly impressed by the commitment and determination of all the cadets and indeed their adult volunteers. By having their unit cited on the Woodland Trust's certificate of planting of this Jubilee Wood, I hope I have expressed my thanks and admiration to all concerned.